Robert Gaffney (Discussion Leader)received his J.D. degree from University of California, Hastings College of the Law in 1980. Mr. Gaffney is an attorney licensed to practice in the State of California and is certified by the California State Bar Association as a Specialist in Immigration and Nationality Law. Through his law firm in San Francisco, Mr. Gaffney has 30 years of experience counseling a wide range of corporate and individual clients in areas of employment-related, investment, and family-based visa and immigration matters. Mr. Gaffney is rated “AV,” the highest such rating for skill and integrity available to individual lawyers from Martindale-Hubbell, generally recognized within the U.S. legal profession as the most complete and trusted source for identifying qualified legal counsel. Mr. Gaffney is honored to have been selected through peer review for the list of Super Lawyers of Northern California, awarded to only 5% of practicing attorneys in the area. Dillon Colucci is an immigration associate in the New York office of Greenberg Traurig. Dillon practices and handles U.S. immigration concerns and helps individuals, families, professionals, skilled workers, investors, and businesses live, work, invest and do business in the United States. Dillon works extensively on EB-5 immigrant investor matters. He regularly works with developers across a variety of industries, as well as private equity funds on developing new projects that qualify for EB-5 investments. This includes the creation of new Regional Centers, having projects adopted by existing Regional Centers or through pooled individual EB-5 petitions. Dillon also counsels foreign nationals on obtaining permanent residency through individual or Regional Center EB-5 investments. Jor Lawpractices corporate and business transactional law in Los Angeles and is a founding shareholder of Homeier & Law, P.C. Jor has represented a broad variety of clients, both domestically and internationally, from Fortune 100 companies to startup businesses and entrepreneurs in a wide range of industries, including financial services, cleantech, entertainment, aviation, food and beverage, hospitality, manufacturing, retail, real estate, and technology. In addition to counseling companies with structuring, formation, and ongoing corporate issues, Jor's practice includes finance, secured and unsecured lending, mergers and acquisitions, licensing, securities, angel and venture capital financing, internet and new media, technology, e-commerce, and other corporate transactions. 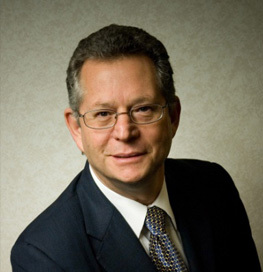 David Hirson has more than 30 years of experience in the practice of immigration law. His focus is on EB-5 investment immigration law. He has been certified as a Specialist in Immigration and Nationality Law by the State Bar of California, Board of Legal Specialization continuously since 1990. Alexander Perez is an immigration attorney at Foster Global's Houston office. He is admitted to the State Bar of Texas and New York and is a member of the Texas Young Lawyers Association and Houston Bar Association. Mr. Perez received his BA from Rice University and his JD from Vanderbilt University Law School. Rob Winner is a Partner in the Chicago office of Seyfarth Shaw LLP. As a member of the firm's Corporate department, Mr. Winner focuses his practice on mergers and acquisitions, corporate and energy finance, venture capital, private securities offerings, and general commercial transactions. Mr. Winner has more than 18 years of transactional experience working with both startups, developers and Fortune 500 companies. 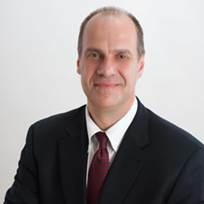 In addition to representing traditional Midwest manufacturing and distribution companies, he represents national energy and clean technologies companies, with a focus on oil and gas exploration and production assets, and renewable energy projects, including solar, wind, biofuels, biomass and waste-to-energy ventures. His experience extends to beyond general corporate and M&A practices to negotiating and drafting specialized commercial contracts in project construction and finance, power purchases and related interconnection agreements, technology licenses, fuel supply contracts and feedstock agreements. Seyfarth Shaw LLP has more than 850 attorneys and provides a broad range of legal services in the areas of labor and employment, employee benefits, litigation, corporate and real estate. With offices in Atlanta, Boston, Chicago, Houston, London, Los Angeles, Melbourne, New York, Sacramento, San Francisco, Shanghai, Sydney and Washington, D.C., Seyfarth’s clients include over 300 of the Fortune 500 companies and reflect virtually every industry and segment of the economy. A recognized leader in delivering value and innovation for legal services, Seyfarth’s acclaimed SeyfarthLean® client service model has earned numerous accolades from a variety of highly respected third parties, including industry associations, consulting firms and media. For more information, visit www.seyfarth.com/.